The currently-filming Spider-Man: Homecoming is the first project in a newfound collaborative partnership with Sony and Marvel Studios, but it’s certainly not set to be the last. They’re going to remain intertwined for the foreseeable future, so long as they both hold shares in the web-slinger’s property, and they’re not wasting any time together. Both studios are already blueprinting Spider-Man’s future, according to recent reports, and they have some big plans in mind for everyone’s favorite neighborhood superhero. Tom Rothman, Sony Pictures Entertainment’s chairman, was recently asked about the wall-crawler’s future, and Rothman’s company is unsurprisingly working on a new Spider-Man movie universe, as well as plans to have Spidey regularly visit his newfound friends within The Avengers. “It’s been fantastic, our relationship with Marvel,” he noted. But when it comes to the headmaster in their partnership with Marvel, Rothman stressed that they’re “the ultimate authority” in the equation. We’ll see how long that lasts. 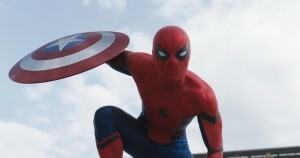 Additionally, while Sony was initially working on a variety of projects related to Spider-Man, including Sinister Six with Drew Goddard, a Venom solo movie under producer Avi Arad, a team film featuring various different female Spider-Man family characters and, of course, The Amazing Spider-Man 3, it appears all of those have been officially scrapped off the table. At least, for the time being, as it’s not impossible for them to come back, in some variation or another, within the MCU. Well, except for The Amazing Spider-Man 3. That, of course, is officially dead and nailed into its coffin. Sorry, Andrew Garfield. “We have deferred the creative lead to Marvel, because they know what they’re doing,” Rothman said. You can say that again. Meanwhile, in addition to Spider-Man: Homecoming and various MCU movies, Spider-Man will also be getting his own animated film, and it will not relate to anything happening in the live-action films. With a Christmas 2018 release in check, Rothman is very excited to release “what I believe is truly going to be a breakthrough animated sensation.” He also complimented the “fantastic story” behind it, and the work done by producers Phil Lord and Chris Miller thus far. He also, once again, stressed it’s “independent” from anything happening with the iteration they share with Marvel right now, played by Tom Holland. It was just earlier this week when Bob Persichetti, a veteran animator, was announced as the director behind the upcoming film, which is set to be his directorial debut. Meanwhile, sources close to our site claim Miles Morales is the lead character in the new film. Spider-Man: Homecoming swings into theaters on July 7, 2017, which is nearly one year away. Crazy, right? Check out some set photos from earlier this week. Remember, this is only the beginning. Tom Rothman is the worst.